Samsung in talks with streaming music service Deezer | What Hi-Fi? Korean firm Samsung could be poised to acquire a stake in online music group Deezer, according to French newspaper Le Journal du Dimanche. In a report distributed by Reuters, Deezer is considering a commercial and industrial agreement with Samsung, which might also see Samsung buy into the group. Deezer is one of the main competitors to Spotify, with more than 12 million music lovers around the world able to access 30 million tracks. In the UK, there are four Deezer account options – including free unlimited access for 12 months and paid-for subscriptions offering ad-free, unlimited music streaming. In November, Spotify reportedly secured nearly $250m of fresh investment, which was led by Technology Crossover Ventures and valued the company at around $4bn. It was suggested that the financing will allow Spotify to expand into new markets, with its online music streaming competitors – including Deezer – left to play catch-up. Any potential agreement between Deezer and Samsung could also see the service further integrated into Samsung's Smart TV. Samsung announced at CES that its Smart TV had become easier, faster and more fun to use, with the Multi-Link feature taking contextual multitasking to the big screen. With relevant YouTube video content and contextual web search results already part of this, could we also see relevant Deezer search results entered into the mix? 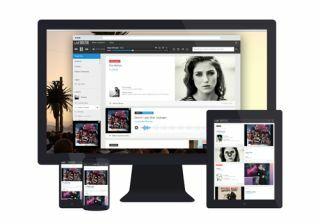 Deezer was founded by Daniel Marhely in 2006 in a bid to transform how we access our music, with the service now available on a variety of devices. At the heart of its aim is Open Deezer, which makes the technology behind Deezer open and accessible to developers in order to push the boundaries of music sharing. Le Journal du Dimanche also reported that Orange-owned video-sharing website DailyMotion is in talks with Microsoft about potential investment.